Donors starting to act a little cool? Warm their hearts with an extra dose of TLC! Send a little love to their mailbox and get a lot of love in return. 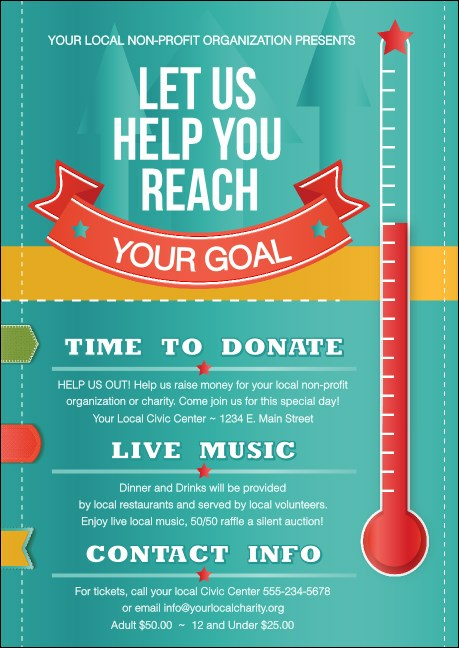 Club Flyers are an excellent way of reaching out to a receptive audience, and you can reach a lot more supporters with the Fundraising Thermometer Club Flyer. When fundraising is critical, TicketPrinting.com has the cure for what ails you.